Samui International Airport is said to be the most beautiful airport in the world. This magnificent and stylish creation is privately owned by Bangkok Airways and is situated on the Island of Koh Sumui. It is a small island off the mainland in the Gulf of Thailand. It began construction in 1982 and was officially opened in 1989. It is Thailand’s 7th busiest airport and handles more than a million passengers annually. 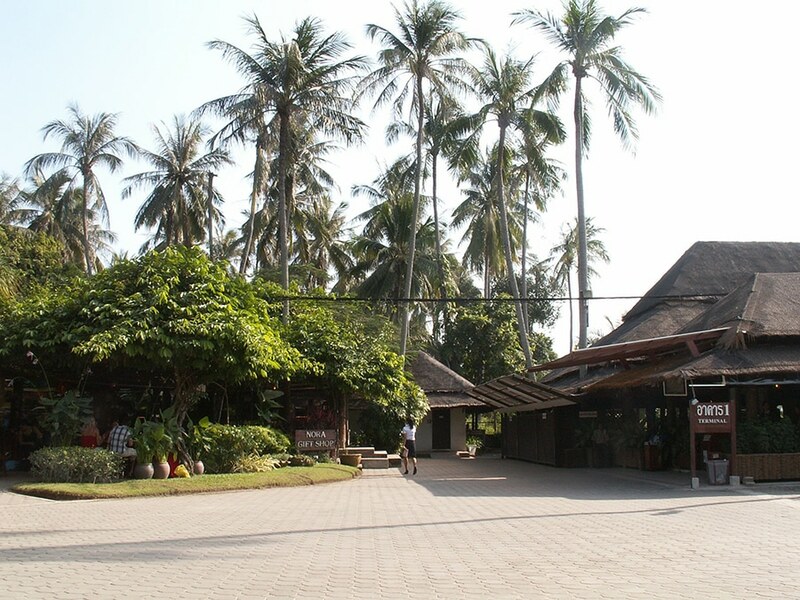 There is plenty to do and see at Koh Samui Airport. For those who have checked in, which usually only takes 10-15 minutes, and awaiting a flight to their next destination, there’s more than enough to take in and enjoy to pass the time and make it seem like a mini getaway on its own. 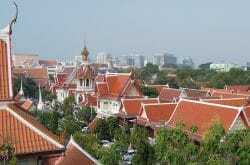 Take advantage of the magnificent outdoor shopping mall for that last minute souvenir hunting with shops such as the Jim Thompson Thai silk shop or a great bookshop with its surprisingly large variety of books all about the island and the various travel interests and destinations throughout Thailand. There are also a few shops to browse through at domestic departures. Or you can stroll through the airport gardens at your leisure, with its unique assortment of flora such as the aptly named cannonball tree. For Bangkok Airways guests there’s complimentary snacks and refreshments available, courtesy of the warm and friendly airways. You can also take advantage of the free Wi-Fi offered to Bangkok Airways passengers. Conveniently located, the airport is merely 10 minutes’ drive from Choeng Mon, Chaweng and Bophut beaches and only 30 minutes from the island’s opposite corners of Lipa Noi, Nathon and Taling Ngam. It is also located near to the Big Buddha pier. From here ferries can be boarded to the nearby Ko Pha Ngan. There are also high-speed ferries which depart from the Maenam Beach pier, which is only 6km north-west of the airport. With its unique, open-air style and charm the Samui International Airport is an added bonus for all visitors arriving or leaving Koh Samui by air. With its beautifully landscaped gardens and unique plant life, open-air shops and stores, one can’t help feeling a sense of warmth and friendliness in this famous and scenic destination. When arriving at Samui Airport your going to find something elegantly different from the usual indoor and claustrophobic style of traditional airports around the world, a truly unique and enchanting gateway to the amazing island of Koh Samui. 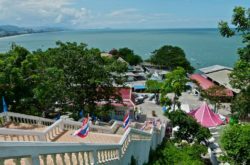 12Go is an excellent online service for booking Internal Flights in Thailand from Koh Samui Airport to other destinations in Thailand. If you are looking for flights from Bangkok to Koh Samui see here. Here below is the timetable and schedule for Flights departing Koh Samui Airport, which are available for booking.